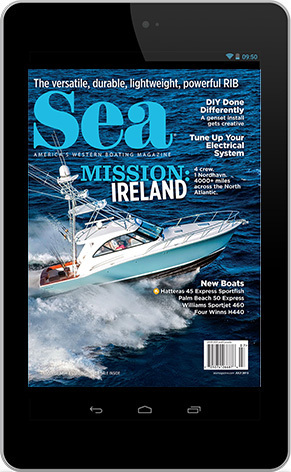 Check out this quick guide to sportfishing and cruising along the Pacific side of Panama. 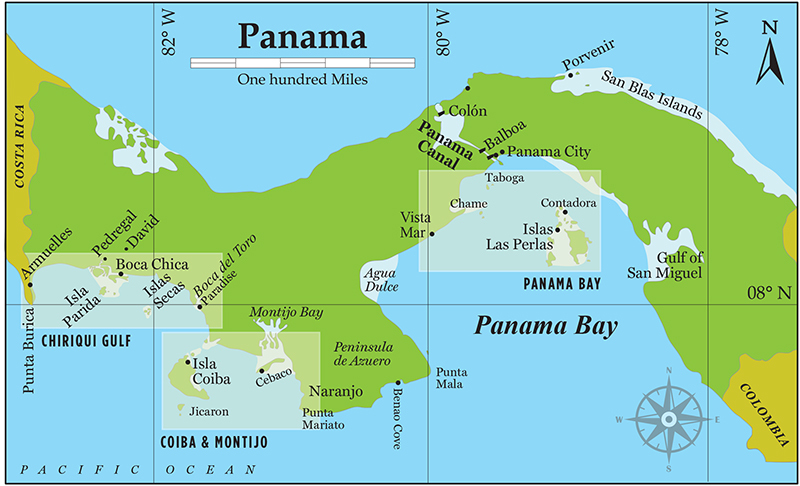 The Pacific Coast of Panama forms a giant “S” tipped on its back (NGA chart #21033). 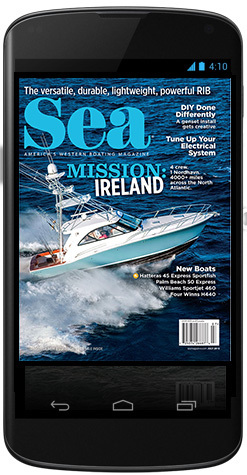 Within these sinuous 1,000 miles of shoreline, recreational boaters enjoy some of the world’s most prolific sportfishing near a few comfy marinas, fishing resorts and lodges. In addition, dozens of exotic islands and jungle coves are ideal for tropical snorkeling, surfing and immersion in nature. Whether you cruise your own boat down to Panama or fly down and go out on a charter boat, this quick guide will help you plan to enjoy the marvelous Pacific side of Panama. The best time of year for boaters to visit Panama is from mid-November through early May, which is considered the “dry season.” Even though geographically all of Panama is safely south of the Eastern Pacific’s hurricane genesis zone, summer’s “wet season” can bring torrential rainfall and lightning strikes to these coastal waters. The first two regions are covered on NGA chart #21580, but NGA charts #21601 and #21605 are required to cover the third. All three cruising grounds offer world-class tropical fishing — dorado, marlin, rooster fish, yellowfin tuna and two dozen other species — and are stuffed with interesting destinations for boaters. This sparsely populated bay spreads 70 nautical miles east to west, from the narrow Burica Peninsula to the Boca del Toro estuary. It encompasses rustic Puerto Armuelles (simple port clearance for oceangoing yachts), the prolific Hannibal Bank 50 miles out on the edge of the continental shelf, and two closer island groups — the Partidas and the Secas — that are spectacular national marine parks. Boca Chica is the main hub for recreational boating, but it’s just a rustic village at the end of a jungle road, sheltered across a narrow channel (60-foot overhead cable) from massive Isla Boca Brava. A small boatyard and gas dock are about the only yacht services along the anchoring channel popular with sail cruisers. But a dozen small sportfishing lodges serve anglers who fly down from Panama City and David, then go out with the resort’s local guides on a variety of day charters. Besides a few covered 22-foot pangas with four huge outboards, I see mostly 28- to 36-foot center consoles and some larger Bertram types with tuna towers. Panama Big Game Fishing Club on Isla Boca Brava is one of the highest rated for fishing quality and its gorgeous lodge. Club personnel will pick up visitors who fly down, on Boca Chica’s municipal pier. However, the group is expanding its charter docks on the northeast side of Isla Boca Brava to accommodate visiting yachts to 86 feet, and it plans to open a diesel dock this month (December 2018). Ten miles out from Boca Chica and tucked into beach coves on Isla Parida is Sport Fish Panama Island Lodge and the tiny Lost Paradise Hotel. Both are on solar and generator power but a bit closer to the offshore action. The Islas Partida, Bolanos and Gamaz groups have popular snorkeling spots with overnight anchorages in settled weather. Paradise Fishing Lodge is a secondary hub in the Chiriqui Gulf that overlooks the eastern shores of the Boca del Toro estuary — not to be confused with the Caribbean’s Bocas (plural) del Toro. Paradise Fishing Lodge provides closer access to the Inner and Outer Silva Islands, Islas Brincano and Uva, as well as 20 miles of pristine riverine estuaries. Coiba is Panama’s largest island, 25 nautical miles north to southeast and rising to 1,372 feet. It’s the core of the seven-island Coiba National Park, a UNESCO World Heritage Site. Because a prison colony was housed on Isla Coiba until 2005, the whole island remained pristine jungle, which allowed 1,979 exotic species to flourish, including endemic agouti and flocks of scarlet macaws. Boaters arriving on their own boat should hail “Coiba ranger station” on VHF Channel 16 or 22 and arrange to buy an ANAM one-day park permit by anchoring temporarily off Punta Machete on the island’s northeast corner. The permit allows visitors to fish for 24 hours, come ashore to hike to the waterfalls and anchor at any of a dozen great spots around Coiba Island. Otherwise, 12 miles northeast of Coiba is Bahia Honda, a well-protected bay with free anchoring and a village with a fuel dock, groceries and a seasonal fishing lodge. About 25 miles east of Coiba, the elongated 15-mile Cebaco Island almost blocks the mouth of Montijo Bay. Cebaco Bay Sportfishing Club is tucked into Caleta Cayman on the southwest side of this island. 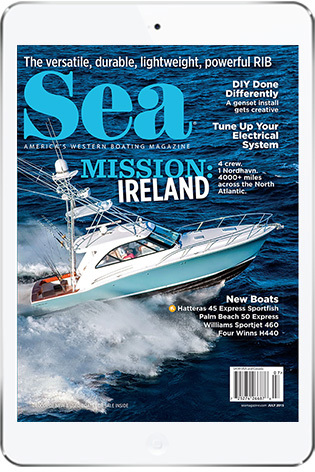 Its 110-foot two-story mother ship, Cebaco Bay, operates as a floating barracks and dining hall for its fleet of fly-in charter sport anglers. However, the club usually has extra diesel on board and sells it to visiting yachts and lets them dock alongside for the night. Hail “Cebaco Bay” on VHF Channel 6. Montijo Bay is a broad and circuitous river estuary bursting with mangrove species. It is great to explore in winter months but not in summer when it is often flooded. From Cebaco, the next good cruising and fishing grounds are in Panama Bay’s northwestern quadrant, 150 miles around the Azuero Peninsula from Cebaco. Vista Mar Marina opened in 2017 with 125 full-service slips to 200 feet and a 1,200- foot megayacht pier, all inside an exterior breakwater. It has gas, diesel, restaurants, a chandler, groceries, golf, an airport, a helipad, customs and immigration offices, and more. Only 40 miles from the Panama Canal, Vista Mar Marina safely separates nautical tourism from overly close encounters with commercial ship traffic. The Perlas Islands, 50 miles east of Vista Mar Marina, are the real jewels of Panama Bay. This cluster of 200 large and small islands (600 square miles) provides at least 100 anchoring spots with blazingly white sand beaches draped by coconut palms and coral diving reefs. All the Perlas are a national park preserve, so only a few of the islands are populated. Isla Contadora is the most populated, 300 residents, and it has a daily ferry from Balboa, a cruise ship dock, a tiny airport and a dozen hotels that range from posh to hippie hostel. The best yacht anchorage at Contadora Island is off its south shore. Two small marinas in the Perlas are at Pedro Gonzales Island (La Marina Peninsula, 46 slips) and on Isla Viveros (Mara’naa Marina, 10 slips and a diesel dock). The rest of the Perlas are pristine jungle. Only five miles from the Panama Canal sea buoy, Las Flores village on tiny Taboga Island has been populated since 1515. French canal builders established a hospital here for yellow-fever victims, and Paul Gauguin was among the survivors. Today boaters anchor off Las Flores and hop the 20-minute ferry into Balboa to begin their paperwork for transiting the canal.